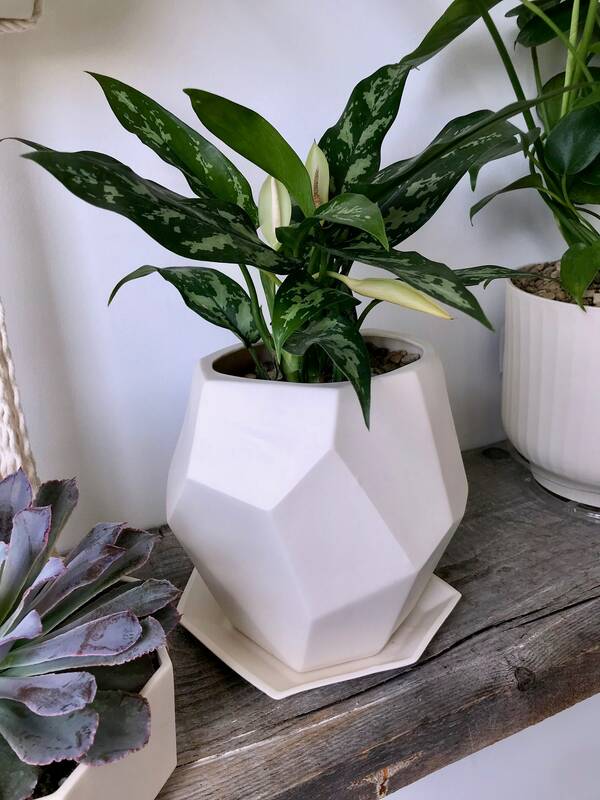 I love the way this geometric faceted porcelain planter catches the light and is accentuated by the shadows. 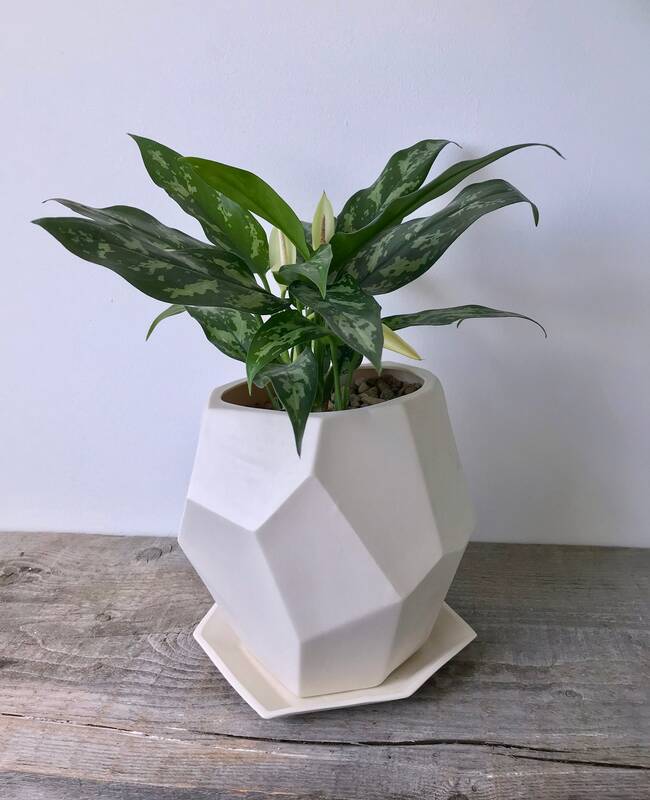 Use as a tabletop planter for a houseplant or as a vase, either way, this vessel is an eye-catching modern design. 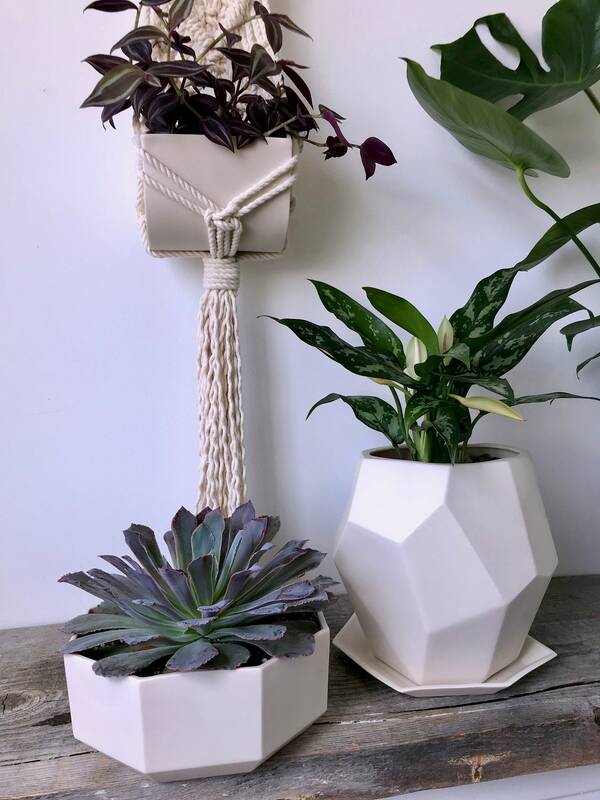 Only the option WITH Drainage comes with matching drip tray underneath the planter.